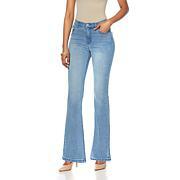 Ladies love the fit of DG2 boot-cut jeans, and we think you will too! 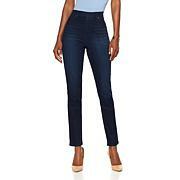 And this particular denim has a high percentage of cotton for that classic denim feel. 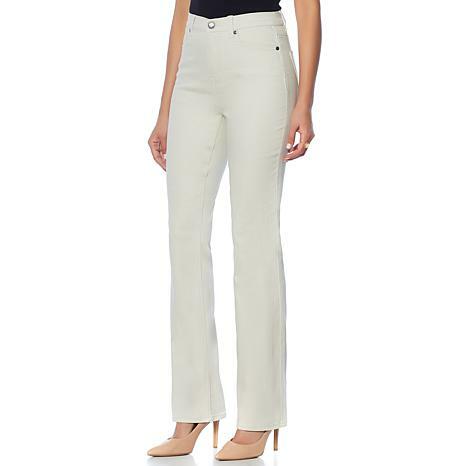 The slimming, leg-lengthening silhouette flatters every body type. Comes in three lengths — no hemming required. Great fit, very comfortable, wash and dry nicely. Would buy again. I just love the way these jeans fit me. Dianes jeans NEVER disappoints. Im not even interested in buying any other brand...ALL of my Dg2 jeans fit my curvy body better than any other brand ever has. Blessings to you and your company Diane!!! Diane, you did it again! This pair of jeans fit perfect and the color is a true olive green but it looks brown in its picture. The price is excellent ! Love the way they fit, feel and wash up great. I do not buy any other jean.